Big motocycles for big journeys. New models and updated versions of familiar favourites. Here we provide details of the two wheel “globetrotters” presented at the latest EICMA Milan show. Those who have fallen in love with the World of Two Wheels now have lots of reasons for changing their motorcycle. Aprilia presents an amended version of the CAPONORD 1200, a crossover which exceeds the limits defined by the road, to become the best “all road” machine. CAPONORD RALLY borne from the extensive technical competence at Aprilia, one of the finest motorcycle producers in the World with a horde of 54 Laurels. The most important specifications are; 19 inch front tyre, hard bags, engine protection and additional LED lights. The RALLY is more practical, more comfortable and has more equipment. The engine is combined with half-active suspension which can automatically adjust the suspension depending on the road surface and riding style. A direct connection between the rider and the vehicle is guaranteed via the new A-MP System which can be configured with a smartphone: a particular area of expertise for Aprilia. AThe Benelli brand has introduced a new model into their modest Touring sector: The TRK502, a half litre crossover bike, (available for road and off road). The power of 48 bhp (35kw) allows even A2 riders to get on and ride it. With impressive fuel consumption (a 20 ltr capacity tank), an “adventure” style look, low seat, variable suspension and standard ABS…. This motorcycle will be launched onto the market in 2016. At Milan, BMW presented new versions of their most popular models. The latest news relates to the technical aspects, design and the new colours available. There are aspects of the vehicles that have been redesigned, such as the tank cover. Highly technical elements have been inserted into the knee cover (on the F700GS) and inside the radiator cover (on the F800GS). Both these BMW models are equipped with a seat that has five levels of height adjustment. On the F700GS the adjustment level is 765mm to 860mm and on the F800GS, it is 820mm to 920mm. Powered by 4 valves, a two cylinder 798cc engine, and equipped with the strong BMW Motorrad ABS, these bikes are aimed at every kind of rider: The F800GS combines specifications for both road and off road riding whereas the F700GS is perfect for the custom rider who who likes to stick to the highways. When Ducati presented the first Multistrada, its objective was to achieve the best “4 in 1”, a motorcycle that is excellent for sport riding, touring, off roading and everyday use. The new generation offers a Testastretta DCT Engine and a high technological interface that with the use of a “Riding Mode” controls and manages the power. All of this brings the bike closer to being an ENDURO motorcycle. The new version of the Multistrada, as defined by Ducati, is the “perfect bike for long trips”, capable of handling both road and off road journeys. The front tyre is 19 inches and the tank has a capacity of 30 ltrs (with fuel consumption of 450km). It is also equipped with half active suspension, standard bluetooth, 5 inch coloured screen and black wheels. The MULTISTRADA 1200 Pikes Peak should be added to the Enduro category as this is a sophisticated version, inspired by the legendary Pikes Peak International Hill Climb in Colorado, USA that has been won by Ducati on four occasions. To create the best adventure bike ever…… that is the objective of Honda with the new Africa Twin and to design a fun and powerful bike for every kind of situation. The new CRF1000L maintains the high profile of Honda by being capable of offroad, touring and general road riding. There is exceptionally high interest in this particular model. Included in the specification are LED lights that are reminiscent of the Dakar Rally, but its the general balance that is the real secret of this bike, which makes it a real “bomb”! A powerful two cylinder engine, 6 gear transmission, 95 bhp, adjustable suspension and maxi enduro tyres (21 or 18 inch). With an 18.8 ltr fuel tank, wide handlebars, upright driving position and an adjustable seat, this motorcycle is offered in a standard, ABS or HSTC versions, with DCT and G functions for off road travel. There are four different color options: two standard and two Special Edition. The 2016 version of the well known VERSYS 650 is available in three colour choices; “Metallic Matte Carbon Grey” with a metallic black sparkle, “Candy Matte Orange” and “Pearl Stardust White” with a metallic sparkle. The Versys is a mid-sized engine Enduro style bike that whilst it cannot be defined as being pure genre, it has earned the right to be defined as a Tourer, as it has united riders throught the World. The vehicle offers 17 inch tyres, an upright riding position, standard ABS and a two cylinder engine that provides excellent performance at low and mid range revs. KTM extends their existing “Road” range with some force! This Touring beast appears agile despite its 228kg weight. Fast and well guided thanks to a high level electronics pack. Perfect for long journeys, the new GT has a 23 ltr capacity tank, heated handlebar, cruise control and LED lights. The engine has been taken from the LC8 with a performance of 173 bhp. If you love high speed Touring, then this is definitely your bike. This is a true SUPER TOURER! 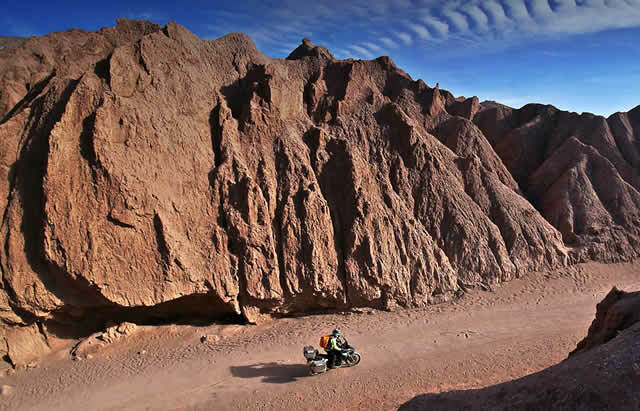 The KTM “Travel” range consists of the 1050, 1190 ADVENTURE and the 1290 SUPER ADVENTURE. Presented last year as just a prototype, the MGX-21 arrives today in its almost finalised version. This motorcycle is the latest example of bravery and refinement from Moto Guzzi. The MGX-21 is for lovers of exclusive machines, for those who want to experience a rush of excitement even before starting their journey on two wheels. The MGX-21 wants you to put on your helmet, point to a random spot on the map and simply go! The excitement grows even further when the two cylinder V90 engine starts up: from the River Lario to the end of the World, travel is managed by the huge pistons in the “big block Bagger”. There is a stereo and intercom supplied as standard. There is a Ride-by-Wire electronic manager for the engine which is currently considered to be the largest engine ever produced in Europe. Amazing LED lights and carbon parts are also incorporated in the design. The asphalt stripe is the natural habitat for the MGX-21. We should not forget the new version of the CALIFORNIA 1400, a classic that has been recently restyled. We decided to add Suzuki, but at EICMA 2015, the brand did not present any news for this segment. However, Suzuki is re-launching the V-STROM1000 which will be available in three different versions and the V-STROM650, which will also be available in three different versions. The last Suzuki news dates back to Spring 2015 when the 650XT was presented: a small V-STROM for “big” riders with ray wheels, frontal beak, 19 inch front tyre, Standard ABS etc. This is a bike with an an Enduro Touring look, that enables the rider to safely explore dirt tracks. The “small” English Enduro is now available with a lower seat and this is an aspect of the design that has been incorporated in its name: LOW. The Tiger 800cc has become wider, with some new deveopements that are different from the original, not only in respect of design, but also in terms of technical development, such as front and rear suspension to allow the full seat being lowered by 50cm. To be precise, the XRX has a seat that can be adjusted from 760mm to 780mm, the XCX from 790mm to 810mm. The XRX Low is also supplied with new radiator protection and an aluminium bowl shield. Even the MAXI Enduro TIGER EXPLORER is presented in a new version, with improved performance and a new look being produced in a six model range, ranging from XR to XC models. The first is the version dedicated to asphalt road lovers and the second is for the lovers of road and off road riding. The engine is the same in all models, a 1215 cc with cardan transmission, a new exhaust with a more compact ending, more advanced suspension and a screen. The front beak and side sections of the body are totally new and the XR models also boast new wheels. In this list of two wheel tourers, we decided to include an outsider. It is a concept presented by the Swiss company QUADRO which has been based on its scooter QUADRO4. Its called BIG Q and amplifies the theme of compact SUV vehicles. An excellent vehicle to use if travelling around the World, it offers two driving tyers, an auto lock differential and double HTS. There is an hydraulic active system, linked to the suspension, which adapts the vehicle to different road surfaces, a 630cc engine, bigger wheels and ample space for luggage. Its off road inspiration would certainly earn an army of fans. If the BIGQ concept is ever brought to market, it remains to be seen how it will fair in the QUAD market as a direct competitor to the QUAD bike.